Farmers with a durum crop should be able to enjoy both a decent price this winter and much needed aid in clearing last year’s crop, some analysts say. The crop might be small, but it’s vital. Durum supply will be a combination of new production and the carry over from 2016-17. “It’s still going to be tight,” said Chuck Penner of LeftField Commodity. According to Penner and others, new crop durum should find good and steady demand because of the small size of this year’s crop and because of moderate world supplies. That should allow farmers to either sell their generally good quality new crop for good prices, or use this year’s good quality to blend with last year’s left over poor quality. “That crop will be available for export,” said Penner. Whatever Statistics Canada’s year-end stock estimates, the true size of leftover 2016-17 low quality durum will remain partly a mystery. It will trickle in through the winter as farmers blend the old and new crops to create a good sample. “If we still have a lot of lower quality durum (in farmers’ bins), that increases the supply,” said Bruce Burnett, director of markets and weather analysis for Glacier FarmMedia. Statistics Canada’s Aug. 31 crop production estimates shocked the market with a durum forecast of 3.9 million tonnes, versus trade expectations of 4.2 to 5.4 million. In 2016, 7.8 million tonnes were produced. But most analysts assume that the crop will end up being larger be-cause the survey was conducted in July before a handful of key rains and showers, which arrived in time to fill-out the crops from their most extreme moisture-deprived states. “They might turn out a little bigger. We’ve had a couple of rains since,” said John Duvenaud, publisher of the Wild Oats newsletter. Penner’s estimate for durum production is 4.3 million tonnes. Burnett said he has heard reports that durum yields are turning out better when they go into the combine than farmers expected. 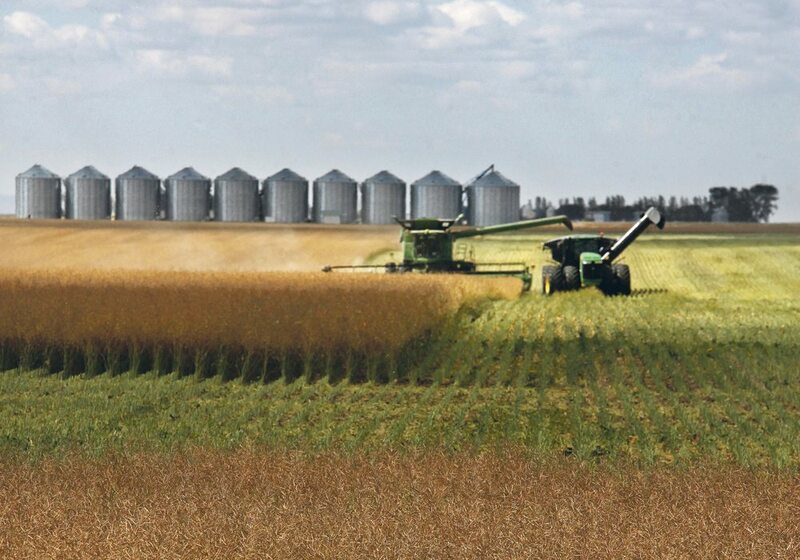 Burnett and Penner said Sask-atchewan and Alberta crop reports are expecting higher yields than the StatsCan estimate, and those numbers are fresher and regularly updated. They are watching those closely and looking at the StatsCan report as a reflection of a snapshot in time from late July. Burnett said durum should attract a premium. “A month and a half ago we were seeing spring wheat prices higher than durum. That’s switched around already. We’re going to see a premium in the market for durum,” said Burnett.